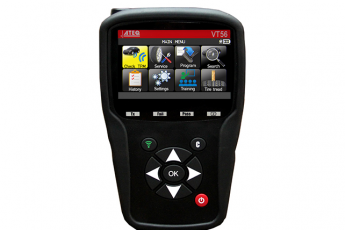 ATEQ is proud to announce the March software release for the VT36, VT46, VT56 and VT56SE. This month, in the VT56, we’ve added new OBD coverage for more than 123 cars (!) from the following brands: Abarth, Alfa Romeo, Alpina, Chrysler, BMW, Fiat, Ford (100%), Jeep, Kia, Maserati, Mini and RAM. We have also improved the operation speed of the ATEQ VT56. It is now quicker to navigate through the menus. We have also added four new interface languages: Greek, Russian, Hebrew and Croatian. We’ve added new cars from Aston Martin, BMW, Jeep, Alpine and Man TGE. The “Michelin Track Connect” retrofit kit has also been added. The OE sensor information for vehicles of the following brands has been updated: BMW; Hyundai; Jeep; Land Rover; Mazda; Mercedes; Nissan; Opel; Toyota and Volvo. New aftermarket sensor coverage has been added for: Alligator Sens-it, HUF Intellisens, Hamaton EU-Pro/T-pro, Orange DirectFit/Universal EU and Mobiletron.